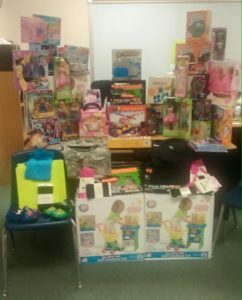 One of our parents at Pietzsch-MacArthur Elementary donated all of these toys, supplies and clothing items to our CIS Site Coordinator, Mrs. Sanchez. A special thank you to Vanessa Espinosa for this wonderful donation! These items will be used as incentives to help with improving student attendance, behavior and academics. Such wonderful news!